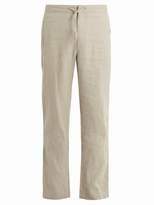 Onia - Onia – whose name translates to sailboat in Hebrew – globally sources the finest fabrics to create smart staples which are designed to travel easily and elegantly. 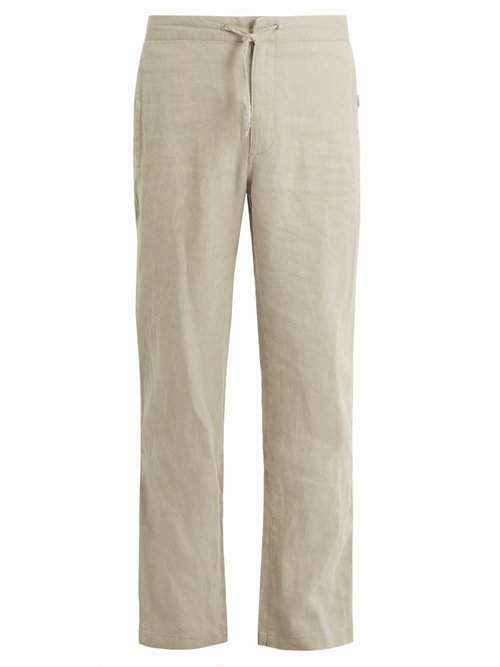 These grey-beige Collin trousers are made from a durable and breathable lightweight linen with an elasticated back, practical pockets, and straight relaxed legs. Fits true to size.